Come join Dr. Holly and I next Wed, Sept. 21 at 6:30pm at the west side New Leaf for a FREE wellness lecture and cooking demo! Check out my article from Growing Up In Santa Cruz! 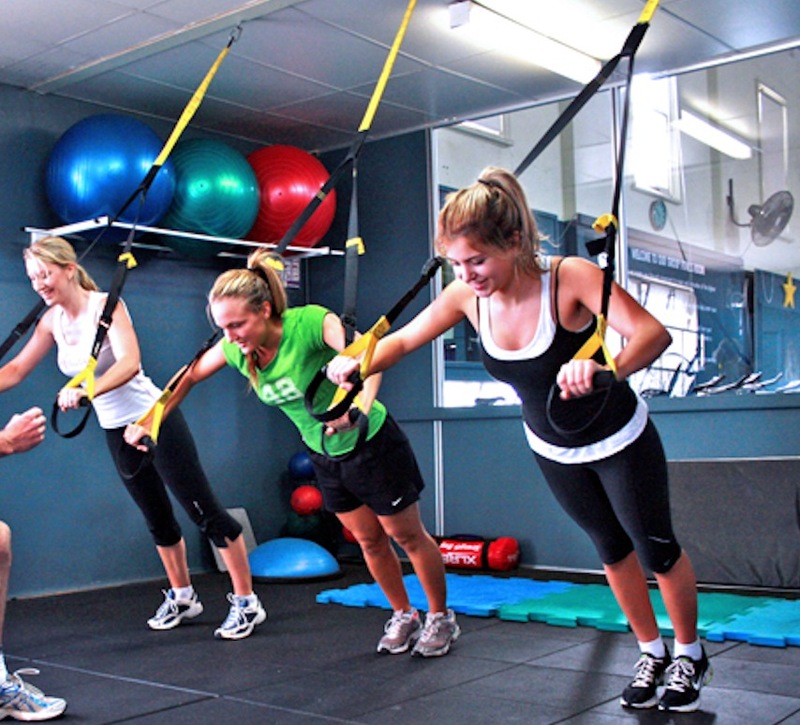 With thousands of exercise equipment options to choose from, here are 8 that make it to the top of the list! A suspension training contraption that can fit in any doorway or outdoors on trees, lampposts or jungle gyms. Versatile: Can use indoors and outdoors, can be mildly to extremely challenging depending on your position and the exercise. Convenient: able to get a full body workout, strengthen your core and balance and it’s light weight, small size and easy setup make it very portable. A cylinder made of foam. Different colors represent different densities (white is least dense, black is most dense). Variety of uses: stretching tight muscles & self-myofascial release, posture improvement tool, and core stability work. A large inflated ball made to support the body during exercise & act as an unstable exercise medium to increase the effort of your core. Core stability & multipurpose (can be used as a full body exercise tool, office chair, or instead of an exercise bench for free weight exercises). Like your best friend, its always there. You can get a full body workout with just you and the floor/ground. No muss, no fuss. Need some ideas? Here are a few. A one-person trampoline intended for exercise. Terrific, low impact cardiovascular exercise. 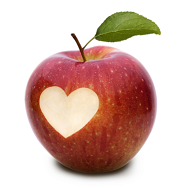 It’s also the best exercise for detoxification…and it’s fun! A rope with handles, usually made of nylon. Gets your heart rate up quickly, can burn up to 700 calories/hour (but really, who can jump that long?!) inexpensive and convenient to travel with. Contrary to popular belief, jump roping may be better for your knees than some running styles since the impact is absorbed by the balls of the feet, not the heels). Ten minutes of jump roping is said to be equivalent to running an 8-minute mile. Quick jumping and double under jumps are perfect for burst training intervals! Something to give you padding during your workout session. There are many styles to choose from. Gives you some protection when doing floor exercises and stretches, especially good for non-carpeted floors. Mats are also useful if you need extra grip while exercising on slippery floors. A metal ball with a handle on top that you lift and swing during exercise. Ketlebells offer variety, intensity, and are effective for both aerobic and strength training. Play It Again Sports, Big 5 Sports, Jerry’s, Outdoor World, and 360 Fitness Superstore. Comments are welcome! Share your favorite fitness tools and why you love them. Watch the How-To Video here! Many of our clients & patients cannot tolerate dairy. A dairy sensitivity can show up in a number of ways. The most obvious is with digestive upset – gas, bloating, stomach pain and irregular bowel movements. Other symptoms include headaches, mood swings, skin breakouts, sinus congestion, allergies, joint pain, fatigue, and frequent colds/flus. It can be hard to pinpoint a food intolerance because symptoms may not show up for up to 72 hours after a food is consumed. Dairy is one of the top 5 foods to show up as problematic for people along with wheat/gluten, corn, soy, and eggs. While these foods are commonly bothersome, they aren’t problematic for everyone and many people have foods outside of this group that are bothersome. Finding out your particular food intolerances can be a really helpful way to improve your health. One way to find out your specific food intolerances is to do a blood test. Because so many avoid dairy for health or other reasons, a lot of people have turned to plant-based milks like almond milk, soy milk, rice milk, and coconut milk. While these boxed milks are quick and easy, there are a few reasons why they aren’t very healthy. They are packaged/processed. The less a “food” resembles the plant it came from, the fewer nutrients it contains. For example, apples are better than apple sauce which is better than apple juice. The same is true for nut milks. Also, more packaging means more waste. Even if your city recycles these cartons, it’s still not as earth friendly as using the same jar over and over again. They are high in sugar. A lot of these milks have added sugar and even the “unsweetened” ones are higher in carbs than homemade nut milks. They are less palatable. Boxed nut milks are generally watered down and have a “thin” consistency. Many of Dr. Holly’s pediatric patients won’t drink them because of this. Making your own nut milk is surprisingly easy, quick, and delicious! Soak the nuts overnight or for at least 4 hours in some purified water. Pour off the excess water, rinse the nuts, and place them in your blender. Add 4 cups water and blend on high for at least a minute. Strain mixture into large cup or bowl through nut milk bag. Set pulp aside. Rinse blender and pour liquid back into blender. Add other ingredients and blend again. Pour mixture into Ball jar. Done! Keeps in fridge for up to 1 week. Enjoy! 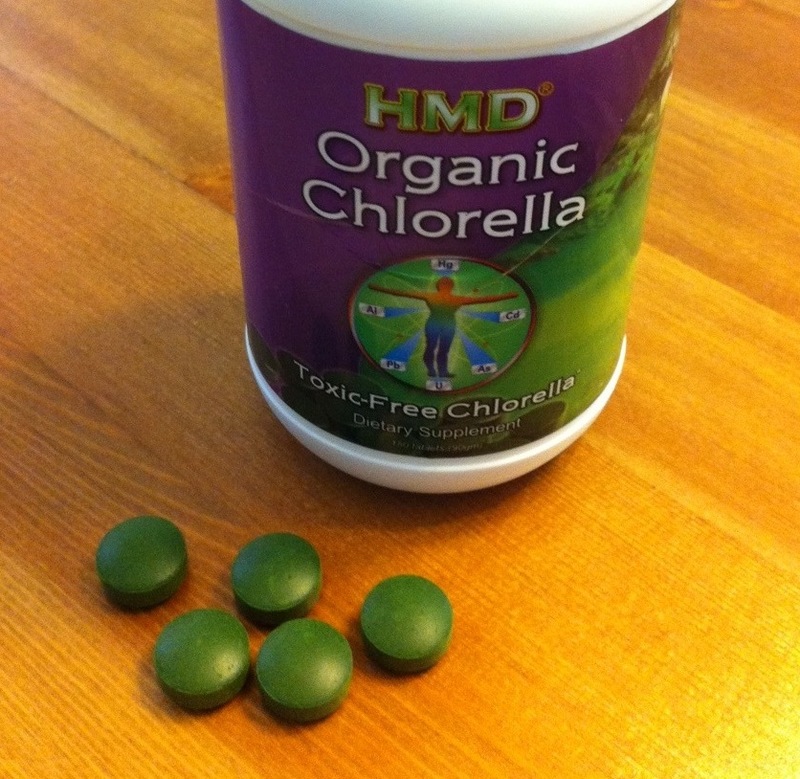 Chlorella is an algae with potent detoxification-boosting power. When taken 30 minutes before eating seafood, chlorella helps prevent mercury absorption. Almost 90% of mercury is eliminated through stool. Chlorellafacilitates the removal of mercury through stool. This is good for 2 reasons. One, you don’t absorb that mercury into your tissues. Two, since you aren’t burdening your intestines with more mercury, mercury stored in other areas of the body like muscles, bones, and connective tissue more readily migrates to the intestines and can be removed. Mercury is a heavy metal and a neurotoxin. Mercury tends to accumulate in vital organs and tissues and can contribute to all sorts of damage to your health including kidney failure, poor memory, senility, impeded nerve cell communication, muscle weakness, vision problems, weakened immunity, and speech impairment. Mercury has a very long half-life and unless actively removed, remains active (and detrimental) to the central nervous system for 15-30 years! Here are just a few ways we are exposed to mercury. 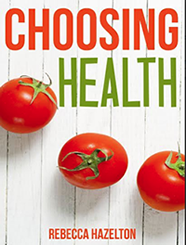 Diet: High-fructose corn syrup (so pretty much all processed food) and seafood (contains mercury since atmospheric mercury settles in the ocean). At the dentist: Amalgam fillings are 50% mercury. The particles you are exposed to when you don’t opt for non-amalgam fillings are a health hazard. Brushing, eating, drinking, and temperature changes in your mouth all increase the amount of mercury vapors that are released and therefore absorbed into tissues (brain, kidneys). Check out this video for a visual. Occupation: Conventional farming (fungicides), fluorescent light manufacturing, and biomedical facilities. Household: Broken fluorescent lights, thermometers, and exterior paint pre-1990’s. Environment: Drinking water, air, and ocean from coal-fueled power plants and some naturally occurring mercury. Chlorella doesn’t replace a full heavy metal detoxification program. If you are concerned that you have heavy metal overload, a hair tissue mineral analysis is recommended. Qualified professional such as naturopathic doctors, acupuncturists, some chiropractors, biological dentists, and certain nutritionists who are trained in heavy metal detox protocol can guide you through testing, results interpretation, and a safe protocol to remove heavy metals. It is important to receive proper guidance to avoid further damaging your tissues. When you mobilize toxins that have been stored in your body, you need to ensure they are swiftly removed; otherwise they are an even greater health hazard.